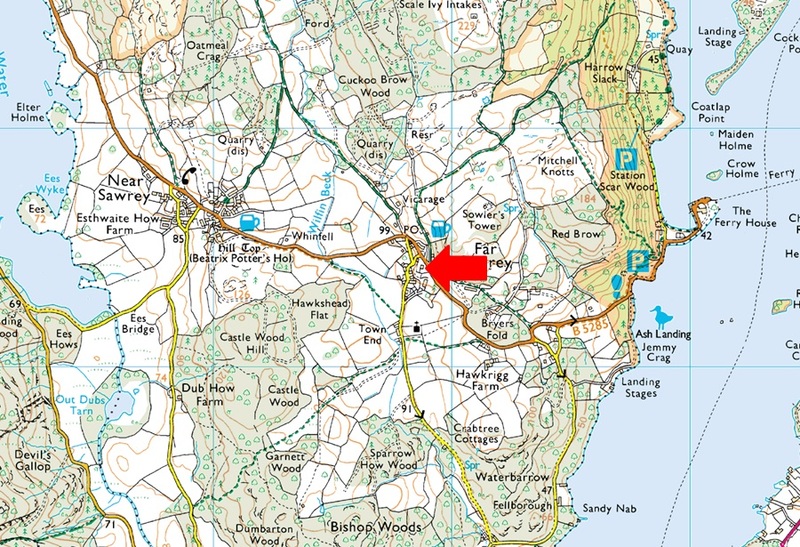 Notes: There is a small car park within the grounds of Faw Sawrey Village Hall (opposite Cuckoo Brown Inn) which can hold around a dozen well parked cars. The idilyc Village of Far Sawrey can get busy during the Summer months and parking here can get busy during peak periods. There is a honesty box on the wall of the Village Hall.